but for SA’s newest age-group triathlon champion, it is part and parcel of the demands of her sport. At just 15, Amber – a Grade 10 pupil at Durban Girls College – has grown used to her punishing schedule. Before school she squeezes in a 30km bike ride and a 5km run along the Golden Mile. By the afternoon she might have added a 3km swim to her training, or a session in the gym, all the while finding the time – somehow – to remain on top of her schoolwork. Arduous, indeed, but the results of her hard work are there to see. 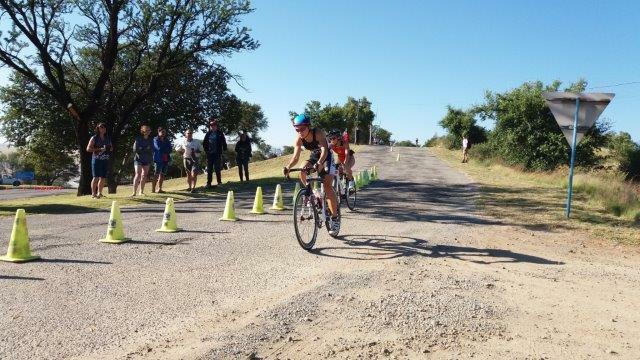 The past weekend saw her crowned the country’s U17 women’s triathlon champion when she dominated the field with a powerful run-leg at Aldam Estate in the Free State, to the extent that she finished 2nd overall in the U19 category. 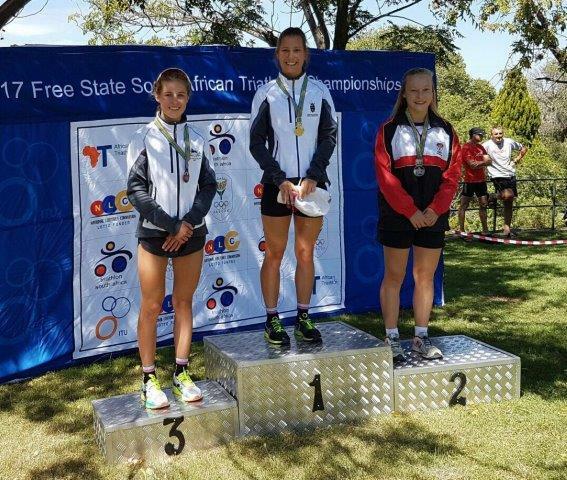 It capped a sensational few months for Amber, who prior to the national champs won a number of prestigious events around the country, including the Midlands Ultra Sprint, KZN Triathlon Champs & Discovery Triathlon School Challenge. Her victories have seen her profile in the sport grow, and she attributes this to her coach Justin Hand of Team Justin / Durban Runner, who took her under his wing last year, giving her the guidance she needed to realize what was, until then, budding potential. The Team Justine also drives a Ford Tourneo Connect, and we sponsor R1000 every month. 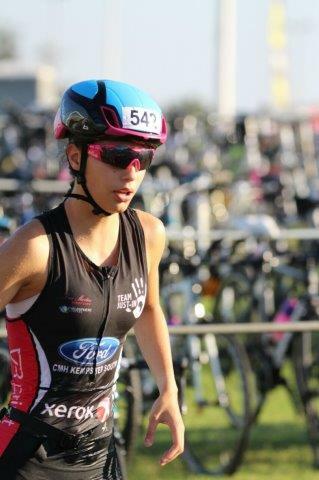 The pair have their eyes on next year’s Youth Olympics in Buenos Aires and Amber stands an excellent chance of competing after selection to the talent identification programme run by Triathlon South Africa, currently taking place in Johannesburg. Some of that potential saw her garner second place in the World Biathlete Championships in Sarasota, Florida last year, her first competition as a national champion outside of the country. 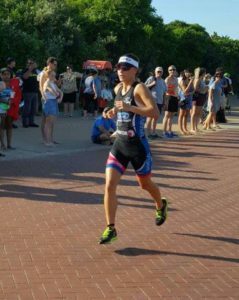 Amber holds numerous triathlon and biathlete provincial titles. Swimming and running were identified early on by her parents as sports she could excel in. On the track, she broke records year after year at Glenwood Prep, accomplishments she has carried into high school. She has run and swum for KZN, and it was these beginnings that ultimately led her down the triathlon path. She remains humble to those who have helped her along the way. With a large support network of family and friends, coaches, teammates and sponsors, Amber has been allowed to flourish at her own pace, and has no hesitation meeting up with friends away from her sport. She loves her cellphone like any self-respecting child – which is what you would expect from an average teenager.